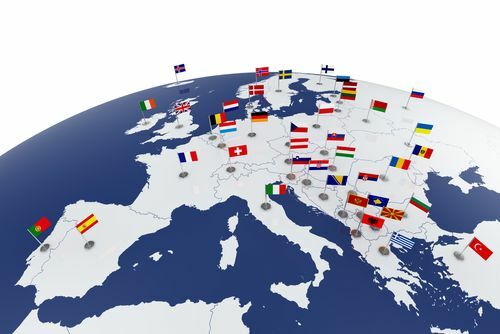 We very much seek to extend our matrix also to addtional countries outside of the initial project consortium, therefore we are very much interested to support organisations from other countries to apply the matrix also within their national context. However, when working with a tool such as the HCEU matrix in a new country that has not been part of the development processes usually doubts are there if it is applicable at all in the new country. Although the overall matrix is based on work processes that are considered to be comparable across the globe within a certain professional field, we therefore strongly recommend to validate the HCEU matrix "Professional Care" for the own national healthcare system before applying in within recogntion and/or training. Within such a validation process always the principles is applied that the matrix may include more learning outcomes and competence development steps.But as soon as a learning outcome or a competence development step is identified that has not been integrated into the HCEU matrix yet but applicable for the new country, we are ready to add this additional element into our matrix and to review such additional elements also for the already existing and uptodate organisational profiles. In this way we want to ensure that the matrix can be applied also in the context of other countries and with all their functionalities. Validation and therefore application and practical use of the HCEU matrix is possible for all countries across the globe. Just get in touch with us! What needs to be done for validation? if applicable, the extension of the matrix with additional/supplementary elements specific to the national context. We recommend that you get in touch with the HCEU coordinator DEKRA in order to receive guidance and support in your efforts to validate the HCEU matrix also for your country and to make sure your results are integrated into the virtual matrix that makes the overall tool widely usable. However, we want to provide you right away with the tools and information needed in order to validate the HCEU matrix for your country and look forward to your input. Please feel free to get in touch with our colleague in charge of maintaining and further developing the HCEU matrix on professional care for guidance and support within the validation process. We recommend to get in touch before starting into the validation process in order to make sure you have everything needed in order to realise a successfull validation. Your input is very welcome!